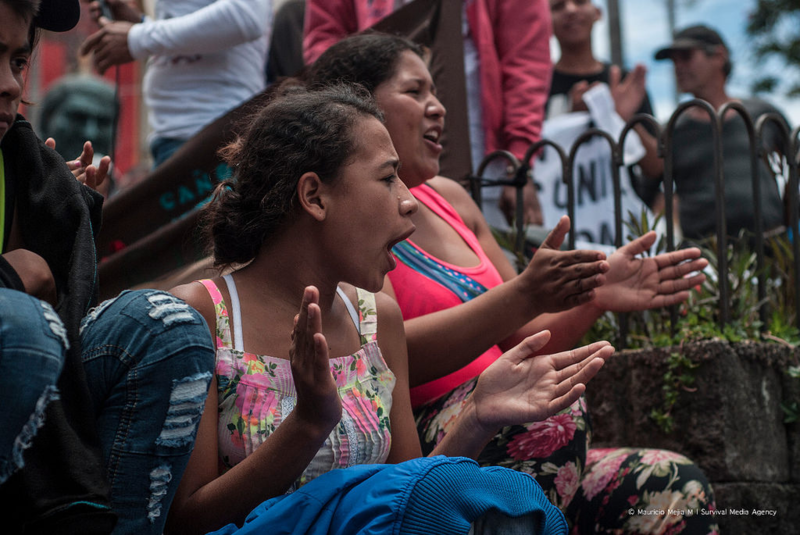 Latin America is the deadliest region for environmental and land defenders. But murders often follow numerous threats, including online. Isabel Cristina Zuleta is a human rights activist in Antioquia, northern Colombia, where she works for the Ríos Vivos Movimiento de Afectados por Represas (movement of people affected by dams). According to the NGO Global Witness, 27 activists were murdered in this country in 2017 alone. Since 2010, Zuleta has opposed the construction of the Hidroituango hydroelectric dam on the river Cauca, Colombia's second most important. Ríos Vivos is trying to raise awareness of problems the dam could cause – including environmental damage, forced evictions, and the impoverishment of local residents whose livelihoods rely on the river. Because of her activism, Zuleta has faced threats, harassment, attempted forced disappearances, criminal charges as well as sexual violence. In 2013, she said she was kidnapped by agents of the government’s so-called Mobile Anti-Disturbance squad who also photographed her “partes íntimas” (‘private parts’) while she was in detention. According to a 2018 report by the Fondo de Acción Urgente (Urgent Action Fund, or FAU) human rights network, when Zuleta reported this treatment to the Attorney General, she was told that it “was not the important thing”, and instead she was accused of promoting attacks against the company building the dam. In August, Zuleta told 50.50 that activists had received a myriad of recent threats, including: people approaching them to say they cannot protest, or threatening to kill them; people tailing them on the streets; and death threats via text messages, phone calls and Twitter. The next month, two family members of activists from her organisation were murdered. “I think that land and environmental defenders, we confront capitalist interests, and this means [our work] involves a higher level of risk”, Zuleta told 50.50 via a WhatsApp message voice recording. However, “without this land we don’t have any life possibilities”, she added. “We cannot negotiate our lives”. We confront capitalist interests, and this means [our work] involves a higher level of risk. 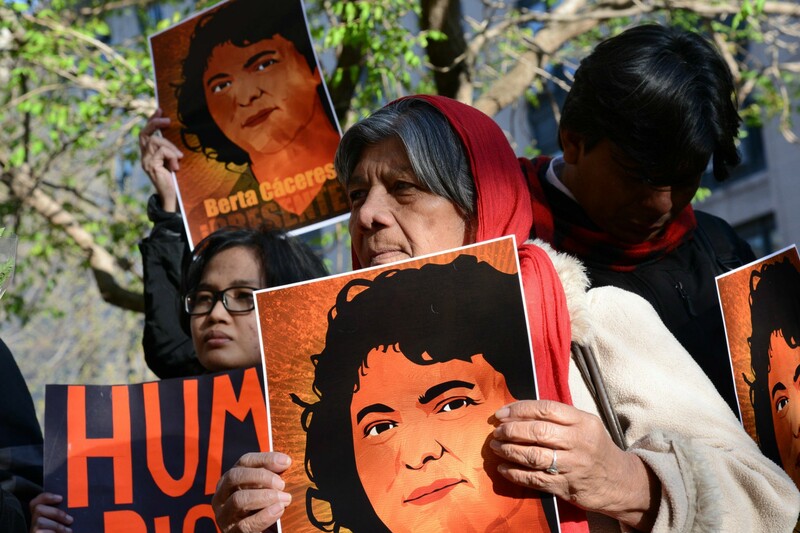 In November, seven men were found guilty of murdering Berta Isabel Cáceres, a Honduran indigenous campaigner who'd long battled to block the construction of a dam on the Gualcarque river, considered sacred by the Lenca people. The supreme court ruled that Caceres’ murder was ordered by executives of the company Desarrollos Energeticos SA behind the Agua Zarca dam project because of delays and financial losses linked to protests led by the activist. Cáceres was 44 years old when she was shot dead in her home on 2 March 2016, after receiving death threats for years. Her murder shocked the world and brought greater international attention to the plight of human and environmental rights defenders in Latin America. According to Global Witness, at least 207 human, land and environmental rights activists were murdered around the world in 2017 – 60% in Latin America. This region is also home to the country with the most recorded deaths: Brazil, where 57 people were killed, 80% defending the Amazon rainforest. While most of these recorded murders were of men, the NGO noted that women activists also “faced gender-specific threats including sexual violence”. It said in a report: “They were often subjected to smear-campaigns, threats against their children, and attempts to undermine their credibility; sometimes from within their own communities, where macho cultures might prevent women from taking up positions of leadership”. They were often subjected to smear-campaigns, threats against their children, and attempts to undermine their credibility. The FAU network also monitors the situation of women defenders in the region and provides them with logistical and financial support. In 2018 they published another report that highlighted the ongoing challenge of impunity for perpetrators of violence. They also drew attention to the specific vulnerabilities and different types of violence that women activists face – including criminalisation, threats, harassment, attacks and femicides (gender-based killings of women and girls). One of the cases covered in their report was that of Lottie Cunningham, at the Centre of Justice and Human Rights of the Atlantic Coast of Nicaragua (CEJUDHCAN) civil society organisation. She works with more than 100 indigenous communities who've faced attacks, assassinations, kidnappings, crop burning and forced evictions. Denouncing these human rights violations has earned her repeated death threats. One of the messages she received said: “In our country trash exists like these people who dedicate their lives to diffusing trash… against the government… I’m sick of these trash [people] and if I have to defend my blessed Nicaragua against this trash then it will be an honour to do so”. Cunningham was also followed in the streets and told there were “rumours” she would be murdered. Another case covered by FAU's report was that of Macarena “La Negra” Valdés, in Chile. In August 2016, one of her children found her hanged from the beams of her own home. She had also received death threats for months before this. Valdés had campaigned against the construction of another hydroelectric power station by the Austrian-Chilean company Global Chile Energías Renovables, in Paso Tranguil, where she was a leader in her community, the Mapuche. Her former partner, Ruben Collío, told 50.50 that Valdés was murdered in "a clear attempt to delegitimise our fight and try to make us react with violence”. He said: “It is so hard to ignore this basic instinct and fight them with their laws”. Collío insisted she hadn't shown signs of depression, but authorities claimed her death was the result of suicide. He said her family requested a second autopsy – which showed that her body had been arranged to simulate this. He is still fighting for justice. Two years after her death, state prosecutors have not acknowledged the second autopsy; Collío and the Mapuche community continue to search for evidence to prove she was murdered. At the regional level, the FAU is calling for the UN resolution 68/181, which was adopted by the general assembly in December 2013, and focuses on protecting women human rights defenders, to be enforced and respected. Cases of violence must be better documented, FAU says. It's calling for new observatories to focus on this – as well as more thorough, independent investigations into threats against women defenders of land and human rights. This article is republished from Open Democracy under a Creative Commons license. It's written by Bérengère Sim, a freelance journalist based in Mexico. Read the original article here.